What's to stop a person from doing solar energy projects on their own with the ultimate objective of running their house totally on solar energy? Well, the cost has always been high. Even with the Federal Solar Energy Tax Credit, the price can still seem too high. For a person who likes to "do-it-yourself," like me, you have probably wondered if you could somehow do it cheaper, buying the solar panel and parts and putting it together yourself...and if you are capable of doing it. To find out if one of the available solar energy projects is something you could do yourself, here is an outline of what is involved so you can see if it's a good fit for you and your pocketbook. First of all, you are going to need a sunny region to live and a sunny spot where you will install the system. Logically, the more sun your solar energy project gets the more electricity, hot water, etc, it will produce and the faster it will pay for itself. Fortunately, do-it-yourselfers and solar energy "kits" have been around for a long, long time, and there are tools now that can help you figure out what you are looking at. So to decide where to build one of your solar energy projects, take a look at the solar pathfinder. This tool is recommended as the very best and affordable way to find exactly the right positioning for your solar energy project. How does the solar pathfinder work? It shows you a reflection of the sky and the sun's path for all four seasons in your area. Use this tool. You might find that objects you wouldn't normally think of will shade portions of your solar panel array during each season. This is very important, as even a short or narrow shadow falling across your solar panel will negatively affect the function of the entire panel. Another thing to take into consideration is that your solar panels should be set up pretty close to your electric meter hookup. You will be using a direct current (DC) power that comes from the photovoltaic cells in your panels. The wire that carries DC must be larger (more expensive) the greater the distance your panels are from the inverter, meter, and power center of your home. It should be near the house but not exposed to impacts from kids playing, etc. The roof is a logical place. But make sure you know the condition of your roof first. I know it would be a headache to install your panel just right and then find out you need to take it down to replace your roofing! If you are in the northern hemisphere, you will want your panels facing as close to due south as possible (180 degrees azimuth). Logically, if you are in the southern hemisphere (Down Under), you are going to be looking for due north. If you need to find which way is due south (or north) from your location, use Google Maps. Enter your address and click on the satellite image. Then determine exactly which way your roof is facing. Most likely you are a short or a long way north or south of the equator. Since the sun will not be directly overhead for much or all of the year, your panels need to be angled to face the fullest direct light possible. You need to angle your panel to the same degrees as your latitude. To find your latitude, go to the latitude map of the US. For example, look up Portland, Oregon. Portland has a latitude of around 45 degrees. Install your solar panels to face due south as noted above and then angle them at 45 degrees from horizontal. Your roof may be close to the angle you need already. If not, you will need to make a stand or rack in order to hold your panels at the right angle. How big is my solar panel array going to be? Do I need to cover the whole roof or just a few square feet? It will take 1 square foot to produce about 10 watts of solar power. If you need 1000 watts, your panels will cover 100 square feet (10 feet by 10 feet). This measurement includes room for your panels plus your stand, the wiring, and some space to work in. Although not exact, it will tell you pretty close how much area you will need. For your additional equipment, the inverter, breakers, power components, allow an area about the size of a half sheet of plywood or 4 feet by 4 feet. Check with your power company to see if extra room will be needed to install a new meter, etc. The perfect place to build or work on your solar projects and store all your garden items is in your new outdoor shed! Free tips on Sheds and Outdoor Storage, along with ideas on choosing the right one for you and your family. Do I need a building permit or license to build and install my solar energy project? That will depend on the laws where you live. Check with your power company. This is a good time to talk to them about selling back power when you have a surplus. Find out what equipment will be needed to do that. Also, there may be rebates in addition to your state or federal solar power rebates. Get an up-to-date figure from your power company showing exactly how much you are currently paying for each kilowatt hour from them. You need to contact the building inspector or local building department to see what is required in your area. A building permit is likely needed to avoid stiff penalties later. Usually you can just get a qualified electrician to verify and sign off on your work. Before completing all the above, is there a way to know how much energy my project will produce? Again, there are tools available to help you figure this out, for example the National Renewable Energy Lab site. Using the information you have collected already, find and click on your area on the solar map. The window that opens should say 'Send to PV Watts' at the bottom. Click the link and follow the instructions. Enter in kilowatts the size of the solar energy system you would like. The 'calculate' button will then show what you can expect to produce each month for a year. This is where you started, wasn't it? Since cost has historically been the drawback to solar energy power production, this is a very important part of your project planning. How much will the components cost? 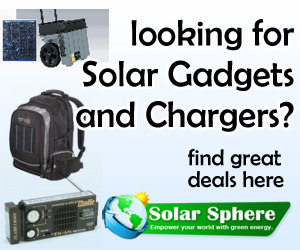 For a complete solar power kit you will probably be spending around $4 to $6 per watt. The cost mainly depends on the size of the solar array and racking system. Are there programs to help with the costs of my solar energy projects? One of the best developments in the solar energy project field right now is the tax deduction and rebate programs. Be sure to take into account all state, local, and utility incentive programs, which can be found here. You may even find a supplier that will take the rebates off the price of the system. Then the manufacturer goes after the rebate. Sharp has a program like this.